Our Daily Vitamins are a cost effective way to ensure you reach your body's RDA for the essential vitamins your it requires to perform and function to its potential. With the increased strain that training puts on the body a good multi-vitamin is important to any trainer’s nutritional programme. 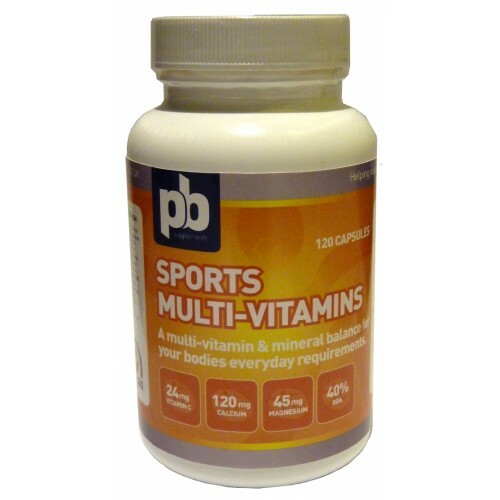 PB Supplements sports multi-vitamin contains essential ingredients, including B vitamins, vitamin A, C, E and D. Sports multi-vitamins are the perfect way to support your recovery, general health and well being. Add yours to your order now to aid your development in training.